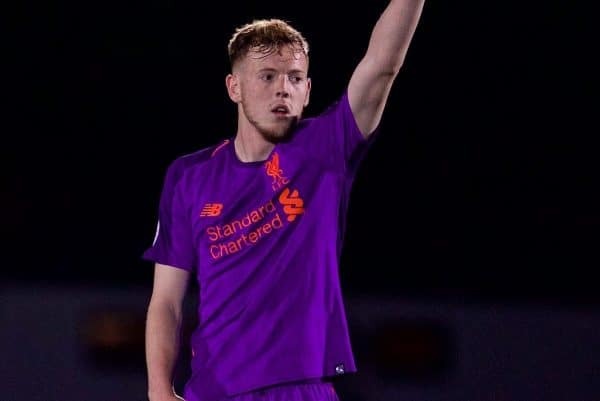 Liverpool U23s left it late to earn a 1-1 draw with Man City U23s on Monday night, thanks to captain George Johnston’s late equaliser. The young Reds hosted their Premier League 2 counterparts at the Academy in Kirkby, looking to go four points clear of their opponents and edge their way up the table. 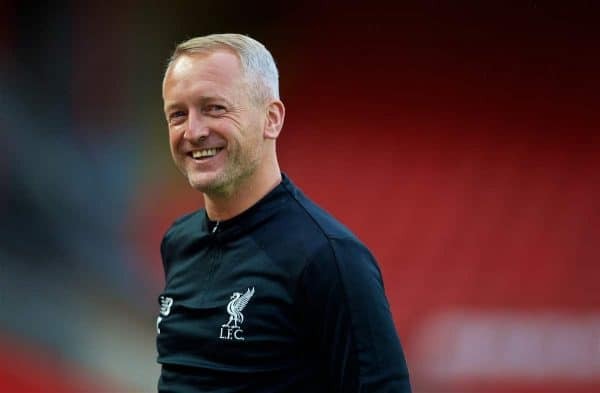 While the senior side were stumbling to a 1-1 draw against West Ham, Neil Critchley‘s side found themselves in a similar predicament. A well-contested opening 45 minutes saw chances come and go, with Paul Glatzel making his U23s debut after shining as skipper for the U18s this season. He missed an opportunity to find the net midway through the second half, failing to add to his 21 goals in 2018/19 after firing over the crossbar. Shamal George was twice forced into action in the Liverpool goal, first denying Adrian Bernabe then keeping out a Tom Dele Bashiru free-kick. The deadlock was broken by City shortly after the hour mark, as Taylor Richards finished well during a good spell for the visitors. Just as it looked as though a damaging defeat was coming the Reds’ way, Johnston displayed his leadership with an excellent finish from Adam Lewis’ long ball five minutes from time. Bobby Duncan almost snatched victory in the dying seconds, but a share of the spoils was probably a fair result by the time the final whistle arrived. Bizarrely, it is Liverpool’s fourth 1-1 draw in succession in Premier League 2, as they keep struggling to make headway—though they are now on a 10-game unbeaten run. The point leaves Critchley’s youngsters sixth in the table, with attention turning to their Premier League Cup clash with Burnley on Friday.